Now's your chance to discover and capture the Pokemon all around you, so put your shoes on, step outside, and explore the world with Pokemon GO. You'll join one of three teams and battle for the prestige and ownership of Gyms with your Pokemon at your side. Travel between the real world and the virtual world of Pokemon with Pokemon GO for iPhone and Android devices. With Pokemon GO, you'll discover Pokemon in a whole new world-your own! 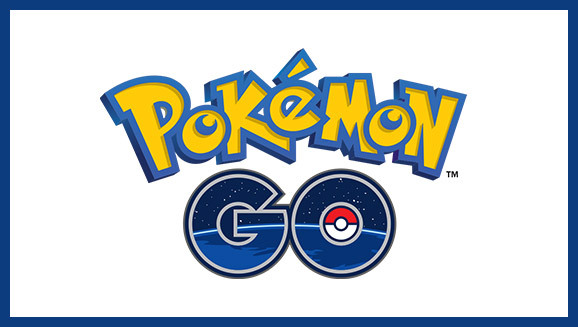 Pokemon GO is built on Niantic's Real World Gaming Platform and will use real locations to encourage players to search far and wide in the real world to discover Pokemon. Pokemon GO allows you to find and catch more than a hundred species of Pokemon as you explore your surroundings. The Pokemon video game series has used real-world locations such as the Hokkaido and Kanto regions of Japan, New York, and Paris as inspiration for the fantasy settings in which its games take place. In Pokemon GO, the real world will be the setting! Get on your feet and step outside to find and catch wild Pokemon. Explore cities and towns around where you live and even around the globe to capture as many Pokemon as you can. As you move around, your smartphone will vibrate to let you know you're near a Pokemon. Once you've encountered a Pokemon, take aim on your smartphone's touch screen and throw a Poke Ball to catch it. Be careful when you try to catch it, or it might run away! Also look for PokeStops located at interesting places, such as public art installations, historical markers, and monuments, where you can collect more Poke Balls and other items. A recently discovered bug in the Pokemon Go app is allowing code-savvy people to pull raw data from the game and show the exact location of all available Pokemon on Google Maps. Following tips from fellow developers, Broadsheet's tech lead and reluctant Pokemon enthusiast Jay Lynch has been testing the data's ability to help find certain Pokemon in suspected hotspots around Melbourne. Our maps have been tested three times over a week - so they're rock solid right now, or at least until Pokemon Go developers change their data. We've flagged areas as 'nests' for certain Pokemon, for example you're extremely likely to run into Pikachu at CERES in Brunswick East. Some Pokemon are guaranteed to show up in certain spots daily, but may not be there all the time. At some point, Pokemon Go's development company, Niantic, will block this loophole. But get out there and exploit it while you can.